Organ Market Fed by India's Desperate Poor One way to make money as a poor person in India is to sell a kidney to the black market. But many people who do this say they have been cheated by brokers, who promise one price and pay another. 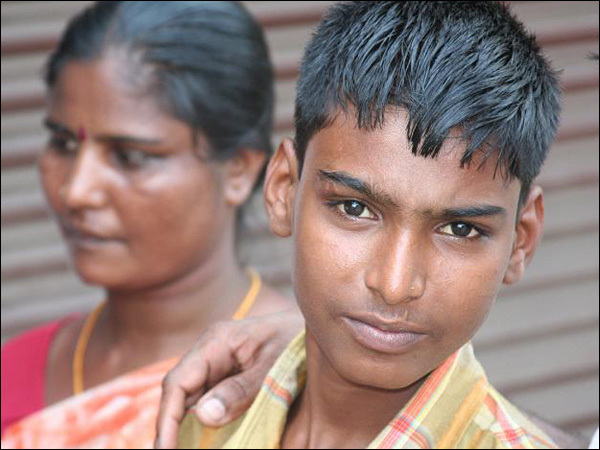 Malika (left) sold her kidney on the black market before her 16-year-old son (right) contracted jaundice and ended up on dialysis. A black market in human organs has become one way for India's destitute to earn money. But many people who turn to this step get less money than they were offered — or worse, find themselves in need of those organs for themselves or family members. Investigative journalist Scott Carney has been following the story for months. He speaks with Alex Cohen about the black market in human organs.